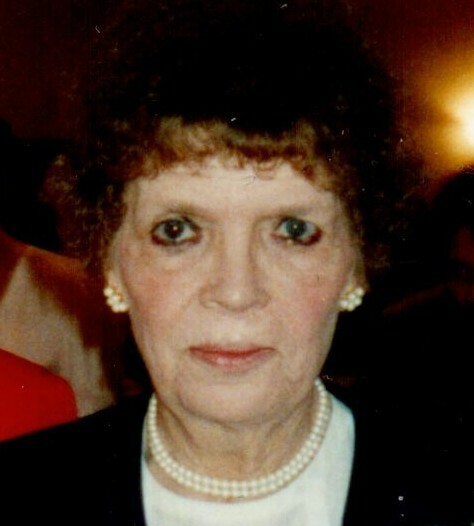 Jeanne L. Van Tassell Buckner Kaehly, 92, of Erie, died on Friday, March 22, 2019, at LECOM Senior Living Center. She was formerly of St. Joseph Apartments and Cranberry Street, Erie. She was born on October 11, 1926, in Jamestown, NY, daughter of the late Thaddeus Stuart and Agnes Laurel Johnson Van Tassell. A 1944 graduate of Academy High School, Jeanne was an executive secretary for Booker T. Washington Center for 18 years, retiring in 1990. In addition to her parents, she was preceded in death by her husband, Charles F. Kaehly, Jr. in 1978; a daughter, Karen L. Buckner-Driscoll; son-in-law, Daniel Driscoll; two brothers, Jack and Roger Van Tassell; and two sisters-in-law, Anita and Patricia Van Tassell. Survivors include a son, Stephen E. Buckner and wife Mary of Erie; seven grandchildren; and several great-grandchildren, nieces and nephews. A private Reception of Friends and Memorial Service will be held in May 2019 with the Rev. Stephen E. Buckner II, grandson of Jeanne, officiating. Arrangements have been entrusted to the Scott Funeral Home, 2104 Myrtle Street.